A3: Quant books: What to prepare, what to skip? I hate maths / I’m weak in maths. Therefore, I’ll pump extra hours in General studies to compensate for my poor command over mathematics. Prelim marks not counted in final merit list, and maths is not going to be asked in mains. so why bother. Besides, in 2012 only 3 questions were asked! xyz person on xyz forum said he managed to crack CSAT without preparing maths. Same Cinderella story will repeat in my case. In last three years, average cutoff was ___. So, so if I tick __ Questions in GS paper I and __ questions in comprehension /reasoning, I can easily reach cutoffs, without bothering about maths. comprehension 40 MCQs. (=50% of the paper) reduced to 32 MCQs. maths only 3 MCQs = dream come true for math haters. 17 MCQs = = ~1/5th of paper. only THREE questions from Maths in 2012! Will those “Acche din” come again? 20 May 2012 CSAT-2013 exam held. Only 3 maths and 40 comprehension. It will be better to reduce the English part in CSAT, and instead set bit tougher questions in the compulsory English paper at mains level. 26th May 2013: CSAT 2013 exam. Comprehension reduced from 50% to 40%, consequently, maths questions increased from 3 to 17, to fillup the total 80 questions quota. Even in mains-2013, compulsory English paper was lengthier than previous exams, and hence tougher. In other words, Maths is here to stay. 2012 scene unlikely to repeat. UPSC unlikely to ask only 3 maths MCQs in 2014. CSAT Paper-I (General studies) is difficult compared to paper-II (Aptitude test). The candidates who are good in general studies, are at disadvantage, because they can’t get any edge with general studies. On the other side, candidates good in paper-II(Aptitude) gets advantage, & they can make though the exam even without much study of general studies. (Therefore) Aspirants with engineering background formed the major chunk of aspirants who qualified the prelims in the first attempt. It takes far more effort to get 60 correct in GS, than it takes to get 60 correct in aptitude. Given the large influx of Engineer-UPSC aspirants post sub-prime crisis and mushrooming self-financed colleges, IF you (non-Engineers) think you can compensate your weakness in maths/aptitude by pumping more hours in General studies => then you’re making a grave mistake. You have to tame the bull (maths) by the horns (continuous practice). Out of them more than 1 lakh people from Delhi alone. (This is UPSC’s estimation!). 10 lakh is not worrisome, because most of them are non-serious people applying just because papa said (JBPS). But 1 lakh from Delhi alone= that is a disturbing number. Because majority of them would be full-time dedicated aspirants migrated to Delhi for the sole purpose of UPSC preparation. Therefore, competition will be cutthroat than ever before. In recent years, even Hyderabad, Bangalore, Chennai, Indore, Lucknow and A’bad are also fast turning into Delhi like centres i.e. where many aspirants rent a room and full time dedicate to UPSC preparation with or without coaching. In this environment, you’ve to extract every mark you can, from every section you can. Hating maths is not a good idea. Remember: Sincere candidates don’t fail prelims by 100 marks, they fail by a margin of just few marks below the cutoff. And in most cases, they could have avoided failure by keeping alert on negative marking, and extracting a few easy questions from the subjects they disliked. Today every sincere player knows he has to prepare NCERT, Laxmikanth, and Economic Survey. So command over those books = just minimum height n chest requirement in military recruitment. Not a competitive edge, doesn’t automatically ensure selection. Last year pretty much every regular reader of Mrunal.org ticked 12-15 correct in Economy. Again, no longer a competitive edge, it’s just a ‘minimum system requirement’ (MSR). People have been trying to get competitive edge over others by doing PH.D on Culture, science, environment. But given the tough nature of GS-MCQs, all that labour barely translates to additional 10-15 marks, that too after spending months in mugging up fifty dozen festivals, tribes, caves, algae/biofertilizers and critically endangered species. On the other side, maths can easily help raise your score by atleast 30** marks than the crowd, and ensure peace of mind until prelim result comes. Then, you can completely focus on mains preparation, rather than worrying about cutoffs in online forums. **based on 2011 and 2013 trend, if UPSC asks 15-17 maths questions, then at least 12 of them will be solvable even with moderate preparation. 12 x 2.5 = 30 marks. Mathematics / Basic Numeracy: How much upto ClassX? This “etc.” word is dangerous. Because upto class X level NCERT textbooks include statistics, probability, trigonometry, parallelograms and even coordinate geometry. Should we prepare such topics or not? CSAT system is just three years old. So far ~43 total maths questions asked in 2011, 12 and 13. This sample size too small to make projections that “x” topic will always be asked and “y” topic will never be asked. time speed distance Questions Regularly asked between 1995-2012, with almost identical difficultly level. This is just tip of an iceberg- even reasoning, syllogism, assumption-inference, Venn diagram, sitting arrangement- if you look at all the aptitude questions from 1995 to 2013- history is repeating itself from pre-CSAT era to CSAT era. UPSC hasn’t completely revamped its question bank. Just because xyz topic is not asked in last three CSAT = it doesn’t mean UPSC will never ask it in future exams. If something is taught upto class10, AND it has been asked in previous prelims (Even before Pre-CSAT era), then we should prepare. Taught up to NCERT std.10? Statistics (Cumulative frequency, median, mode etc.) YES YES Yes, because in 1999 they asked Data interpretation (DI) about cumulative frequency and average for grouped data with class interval. 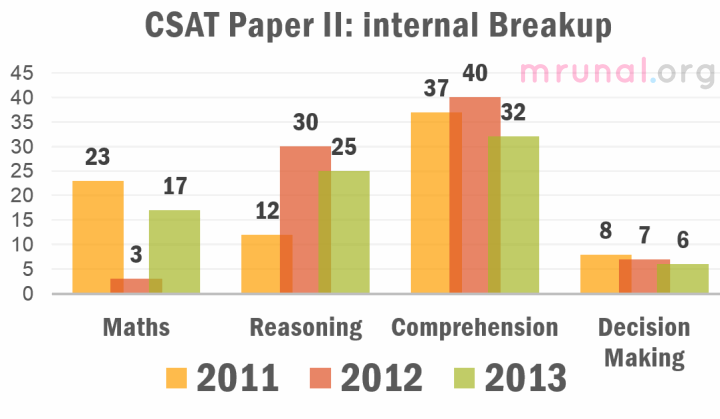 Arithmetic progression YES YES asked in CSAT 2011 itself. Geometric progression NO NO GP starts from Class11. They did ask “water doubles every five minute” question in 2001, but it could be solved without formulas. At max, mugup the “ball rebounding” formula. Irrational numbers YES No it’s not asked from 1995 till 2013. Coordinate Geometry YES YES Asked in 1995 and 1999 prelims. Non-AVP Geometry theory= interior angle, parallelogram sides, cyclic quadrilaterals etc. topics beyond simple area-volume-perimeter (AVP). YES should be prepared, because asked in 1995, 96, 97, 98, 99, 2000, 2001.
height-n-distance problem has been asked in past. Ignore radian, maximum minimum values of sin/cos/tan- because that starts from class11-12 and never asked in pre-CSAT or CSAT era. Clock Angles indirectly YES Asked in 98, 2002, 2000 etc. Divisibility YES YES Asked in 2010. Probability YES Yes Routinely asked this topic up to mid-2000s. Even in CSAT 2011, they asked a question on fundamental counting- that topic is the mother of PnC, and starts only from class11 NCERT. in same CSAT 2011, they even asked image based PnC e.g. how many routes possible in 2×2 square diagram to reach from point A to B.
Logarithms NO NO Never asked between 1995-2013. Venn Diagram NO YES Venn Diagram starts from NCERT Class11. But they were regularly asked both in pre-CSAT and CSAT era. Perhaps examiner considers them part of “reasoning” and not mathematics or DI. dang…these are way too many odd topics, can’t we just focus on time speed distance, linear equation, HCF-LCM? Hardly two months left before exam!! Ans. No. You’ve to be prepared for all possible topics. UPSC examiner has no moral obligations to follow last year’s topic trend. 2011 he asks arithmetic progression, then ignores this topic for 2012 and 2013. If you aim to tick 10+ MCQs for a given subject, you’ve to be thoroughly prepared- whether its polity, geography, economy or aptitude. Following topics not frequently asked, but takes barely 2 hours to master. because You just have to mugup 3-5 formulas and variety of questions is very less. Therefore cost: benefit good, You should make room in your schedule to prepare them. Arithmetic Progression => only have to do one chapter in NCERT. Coordinate Geometry => only have to do one chapter in NCERT. Polynomials factorization => only have to do two chapters in NCERT. Low priority doesn’t mean UPSC will *NOT* ask them. Low priority means, within your study time table, do them at last depending on how much free time left after allotting time for other high priority topics such as history, polity, science, economy, environment (for Paper I) and those reasoning-comprehension & other high priority topics under Maths (for Paper II). Reason: following topics not frequently asked. They’re not difficult but have many variety of questions and formulas=> each of them take more than 4 hours to master. Therefore, put under low priority in terms of study time allotment. 2013: food in garrison, how many days will it last? Class8, Ch13, page 212 example 7, 8 and 9. Even the remaining questions, most of them are just slightly difficult than the concepts taught at NCERT level. Meaning, you don’t have to be an IIT/CAT ranker……If you can understand even upto NCERT level mathematics, you can tick good number of MCQs. (For those really poor in maths)- NCERT Mathematics. Topicwise zip file given at bottom. one separate notebook / file, to maintain “diary of mistakes”- whenever you find any new formula, shortcut, weird MCQ or make mistake, note it down in this diary. Night before the exam, just read this diary. No need to “revise” aptitude books or practice sums on that night. I did the same for CAT, got 96%ile. A folder and loose A4 sized papers-To maintain a diary of mistakes and shortcuts. This is better than a notebook because you can add new pages anywhere as per your requirement. A black slate, like those poor kids use in government primary schools-It saves lot of paper wasted in practicing math & reasoning sums. CSAT Topicwise solve papers (1995-2013) by Disha Publication. Contains all papers of GS and aptitude- topicwise separated for both pre-CSAT and CSAT era. (2007) A person has to fill three liquids – 403 lit. Petrol, 465 lt. diesel and 496 lt. motor oil in bottles of equal size without mixing any of above liquids. What is the least possible number of bottles required? While NCERT teaches HCF in class10, but doesn’t dwell into this concept. Concept is: you’ve to find HCF (31), then divide each number with HCF, then you’ll get total number of bottles required = 44. To learn all such variety of questions and concepts, you need a book on quantitative aptitude. NCERT are good to learn basic concepts, but NCERT alone are insufficient for CSAT. Choice of Quantitative Aptitude book, depends on your career backup apart from Civil Service Exam. They’re Useless for SSC, CDS and SCRA because they don’t give detailed coverage of Trigonometry, geometry theory (parallelograms, circle-tangent etc.) OR quadratic equations. They’re Useless for CSAT and higher level exams. Because they don’t cover all variety of tricky MCQs asked in such exams. Even banking & insurance exams – Rajesh Verma’s techniques are faster & easy to understand. For CSAT-Just memorize multiplication tables from 2 to 9. At max, mugup squares upto 19. It is sufficient. unlike CDS and SSC, UPSC questions on divisibility, number theory or HCF-LCM, don’t test your skill over prime number tables (13, 17, 19, 23, 29). Therefore, don’t waste time in Vedic maths tricks for speed maths, addition, multiplication, subtraction, division, cube roots, square roots etc. If you already know such tricks then good, but now is not the right time to learn them fresh. Linear equation means unknown variable (x or y) doesn’t have anything above their ‘head’. x2+2x+1 This is not linear equation because x has “2” above its head. Infact this is a quadratic equation. It is also part of “upto classs10” syllabus. But comes under “low priority” for CSAT. 2x+1 This is linear equation because x doesn’t have anything above its head. (Actually its x1 but for our understanding purpose, take it as just “x”). This is high priority topic for CSAT. Indirect applications in time-speed-distance-work; profit-loss-SI-CI; Geometry problems etc. Many candidates make wrong equations as shown above, then get wrong answer. Examiner would have even listed wrong answer in option. So junta happily ticks such option, “my paper went so good”, then they fail & blame nepotism, corruption and DP Agrawal for everything. How to avoid silly mistake? Now plug the value of B from Eq1. into Eq2 and you’ll solve this effortlessly. Here you assumed two variables “A” and “B”= lengthier calculations and increased chances of silly mistakes. Here you’ve to worry about only one variable “B”. The moment you solve B, you get answer. To learn more about ^this, refer to NCERT Maths Class 10, Chapter3, table given on the page #9. Examiner will test this by offering you both choice “Cannot be determined”; sometimes even data sufficiency (DS) question. Make sure you pick the right answer in right situation. 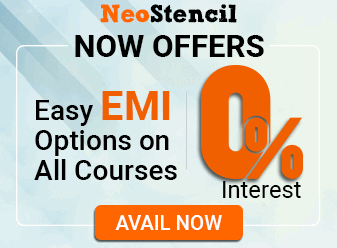 Following NCERT 7, 8 and 10, then refer your Quant book. Then refer your Quant book: Rajesh Verma or Sarvesh Kumar (not both). What to focus for CSAT? How to convert statements into simple equation. Page 35: Exercise 2.6 only do Problem 6 and 7. 10 3 Everyone should do this, irrespective of how strong / weak in maths. Page 46: In what situation, infinite solution / no solutions? Table 3.4 most important for MCQs. Page 52 Example 9: understand why the answer is “cannot be determined”. Page 57: solve the apple sum under topic 3.4.5 but avoid the headache of that cross multiplication method. Stick to substitution & elimination methods. Page 63: do Q. (i) to (v) most important for CSAT. Page 65: example 19 avoid that stupid algebra method. Learn Boats and streams topic from my [Aptitude] article click me. Understand the consistency system given on first page of this chapter. Focus on digit reversal problems and age related problems. He has explained all four methods to solve Linear equations. But stick to substitution and elimination method. Combined these two, you can handle pretty much every question. Level 1: Do Question 23 to 31. Important: in Level1 exercises question No. 23 to 31: observe his explanations- how he solved them without assuming X or Y, or even framing equations. IF you master this technique, it’ll save a lot of precious minutes in the exam. (2007) A person has to fill three liquids – 403 lit. Petrol, 465 lt. diesel and 496 lt. motor oil in bottles of equal size without mixing any of above liquids. What is the least possible number of bottles required? Ans. HCF will be 31. Then divide it with each number, you’ll get total number of bottles: 44. (2009) while adding the first few continuous natural numbers, a candidate missed one of the number and wrote a wrong answer 177. Which number did he miss? Ans. Sum of the first “n” natural numbers is n(n+1)/2, but he missed “x”, so [n(n+1)/2] minus x = 177. Once you plug in the options, only x=13 will satisfy this equation. (2013) A gardener has 1000 plants. He wants to plant them in such a way that the number of rows and the number of columns remains the same. What is the minimum number of plants that he needs more for this purpose? Ans. Whenever you have to arrange soldiers or flowers or trees in Equal Row n equal column, then you have to make it square. Add 24 more trees so it becomes 1024=32×32. These are not really difficult questions, most of them can be solved without mugging up any formulas. You just need a good grip over basic concepts. Directly use your Quant book. Refer to appendix of this article, for what to prepare and what to skip in the quant books. 8 1.Rational numbers Table 1.2 the properties of rational numbers.Topic 1.4 how to find rational number between two rational numbers. Page 10 Example 6, 8 and the remark given at bottom of it. Page 11: Question 7 important concept for circular race tracks. Page 19 note to reader. Ignore Euler and irrational numbers. Numbers between square numbers- the lines given in italics. 12.4.1 Comparing very large and very small numbers. After this is done, you have to solve all questions from your quant book. Even solve the already solved sums given in the “illustrations”. Refer to bottom of this article “Appendix A3”, for what to prepare what to skip from Rajesh / Sarvesh. (1998) A man bought two clocks A and B for total Rs.650. He sold A at 20% profit and B at 25% loss. If he had kept selling price of both clocks the same, then what were the cost prices of each clock? Ans. It requires your understanding of linear equation, percentages and profit loss. A’s cost price 250, and B’s 400. (2002) Trader fixed the price of an article in such way that by giving a rebate of 10%, he made profit of 15%. If the cost of the article is Rs.72, what is the selling price? Ans. 92 rupees. (2005) Left pan of a faulty weigh weighs 100 gms more than the right pan. Shopkeeper keeps the weight measure in left pan while buying goods but keeps it in the right pan while selling goods. He only uses 1 kg weight. If he sells goods at the listed cost price, what is his profit? Ans. gist of the question is: he frauds 10% in buying and 10% in selling. So, on each trading sequence. Hint: Assume 1 gm costs 1 rupee. Find per unit price while buying and selling. As such UPSC’s percentage related questions are complicated than the exercises given in NCERT, but still solve NCERT as warm-up exercise for multiplication and division. After this is done, you have to solve all questions from your quant book. Even solve the already solved sums given in the “illustrations”. Refer to bottom of this article, for what to prepare what to skip from Rajesh / Sarvesh. (2013) the tank-full petrol in Arun’s motor-cycle lasts for 10 days. If he starts using 25% more every day, how many days will the tank-full petrol last? Ans. 8 days. (2013) In a garrison, there was food for 1000 soldiers for one month. After 10 days, 1000 more soldiers joined the garrison. How long would the soldiers be able to carry on with the remaining food? Ans. Inverse variation topic. Ans. 10 days. (NCERT Class8) There are 100 students in a hostel. Food provision for them is for 20 days. How long will these provisions last, if 25 more students join the group? Ans. 16 days. Understand the partnership concept from this article: (Aptitude) Partnership and profit-sharing made Easy. PS: Even those good at Maths MUST do the sums from Class8 Chapter 13. 7 8 Basics of Ratios. Although most of the chapter is focused on percentages. too rudimentary stuff, use it just for warm up exercise for multiplication and division. Page 212 example 7, 8 and 9. Question 8. MOST IMPORTANT– how long the food will last. This type of questions asked in CSAT. Understand the concept well. Exercise 13.2 Q4 to 11. Notice Q5, its identical to the ‘food lasting’ problem. Then solve your Quant book. Refer appendix for what to prepare, what to skip. This is fourth block, because these sums also test your understanding of Linear Equation (H1), LCM (H2), Percentages (H3) and ratios (H4). But Juntaa directly starts preparing STDW without learning first four blocks because last time UPSC asked many MCQs from STDW. Such quickfix-shortcut-moodswing based preparation usually lead to #EPICFAIL. You need good command over all those basic concepts from H1 to H4. Proceed in a systematic manner. NCERT not much useful here, because it runs on the LCM method and doesn’t dwell on all varieties of questions. cars, trains, platforms, boats etc. “A can complete a work in….”, “pipe A can fill the tank in …” etc. Once you’ve understood this STD table concept, then apply it while solving the illustrations and exercises given in your quant book. NCERTs don’t provide the street-smart techniques OR the requisite variety of questions asked in aptitude exams. They mainly deal from “Statistics” angle. (Statistics is asked but low-priority for CSAT). Then solve all the illustrations and examples from your Quant book. “Odd” speed graphs, bacterial growth graphs etc. [Prelim 1996] Following graph represents a race among four persons. D ran faster than others in the later part of the race. 1 is correct; 2 and 3 false. hint: you should add numbers on both axis, then find what time each took to finish the race. you’ll see “D” won the race. [Prelim 1999]The yield versus fertilizer input is shown in the graph. Which one of the following can be drawn from the graph? Hint: add numbers on both axis, then you’ll see who is learning to what pace. You’ll also find odd graphs in last three CSAT papers (attached at bottom of this article). I’m not copying them here because more images=slower loading webpage. Once you add numbers like this, it becomes very easy to compare P vs Q and eliminate options accordingly. Where to get additional practice? You don’t have to specifically buy them only for the “ODD graphs”. Borrow whatever you can from library / friend circle. I’m not adding their samples questions here, because dozens of images =slow loading webpage, especially on mobile browser. But you’ll find the samples in the last 3 CSAT papers attached below the article. Often require lengthy calculation and long divisions, even prime numbers (17,19, 23,37 etc.). Usually calculations are easy – you’ve to do 10%, 20%, 25% of something and you’ll get the answer. requires you to find exact mathematical answer. often the four options are very close (16.5,16.7,16.55,16.67) so you can’t eliminate wrong choices by logic or guestimation, you’ve to do exact calculation without any mistakes. Usually give you 3-4 text statements and ask which one of them are correct as per the given chart. Meaning they don’t usually require you to find exact mathematical answer. Although you’ve to do maths /apply logic to eliminate the wrong statements. 1 pie chart + 1 table. To get a basic overview of Pie charts, bar graphs etc you can consult NCERT class8 chapter 5. But as such it doesn’t contain any street smart tricks OR sums relevant to CSAT. Therefore, to gain command you’ve to get practice. Where to get practice DI sets? Quant books usually don’t give many DI sets –whether it’s Rajesh, Sarvesh or Arun Sharma. It’s a clever marketing trick to sell another separate book for DI. But for CSAT DI, you don’t need any separate book. Also don’t waste time on internet gathering bank papers – they’re usually too scattered and bad PDF quality. Just hit the library and go through those magazines. Q. In a society 10 people drink tea, 4 people drink both coffee and tea…..blah blah blah..find total people in the society. This is juntaa’s most common mistake in Venn diagram. they forget about “n” Read the question description carefully. If and when required take n=0. As such Venn diagram is class11 topic but UPSC has repeatedly asked it both in pre-CSAT and CSAT era. Perhaps, examiner considers it “Reasoning” and not “maths”. Nonetheless, Venn diagram is a very easy “NO EXCUSE” topic. At max it should take ~3 hours to finish this topic at home. Start preparation with Class11 NCERT Mathematics chapter1. 16 Properties of intersections. you don’t have to mugup formulas, but understand the concept from those colored regions in those five image boxes. 17 Example 18. this is the “basic” of all 2 circle Venn diagrams. 21 Formula of n(AUBUC). As such you can solve 3 circle Venn diagrams with just logic of “this portion minus that portion”. but sometimes problems are trickier and you need this formula. 22-26 All the illustrations and all the exercises. You can solve Q3 and Q4 by directly framing linear equations. but table = less changes of error. In a company ** male, out of them ** union members. Total female are **, blah blah blah…..then find __. in a company ** people work in HR, ** people work in R&D, ** people work in marketing blah blah blah….then find ___. In a society 10 people drink tea, 4 people drink both coffee and tea…..blah blah blah..find total people in the society. Overlapping not possible. Man is man, woman is woman. You can make two columns: union vs non-union and further two sub columns man vs woman. same way, Person who works in HR cannot work in R&D at the same time. These are all separate columns. no overlapping circles. Overlapping circles are possible, people who like tea, may also like coffee. Those who own car, may also own bike. This is not difficult, but juntaa doesn’t practice at home so in the exam they cannot decide which way to proceed- Should I make table OR Venn diagram? So, they simply start scribbling data either in table or in Venn diagram, until they get nowhere after 10-15 minutes of calculation. Then they try second approach, but make silly mistakes in addition / multiplication so finally after wasting 20 minutes they leave the sum. This is one of the main reasons why people cannot finish paper on time and fail in the CSAT. DONOT start scribbling numbers, UNLESS you know exactly how you’re going to reach the answer. Keep an eye on the wrist watch. DONOT spend so much time on a single question, even if it’s “Data interpretation”. Anyways where to get practice? Previous papers of General Studies (Mains) paper II upto 2012. Because in those years, UPSC had statistics and DI section under Mains syllabus and they used to ask such tabulation questions. Bank papers given in competitive magazines Pratiyogita, Banking chronicle etc. but keep in mind, UPSC’s tabulation MCQs don’t involve that lengthy calculations unlike IBPS/SBI. First NCERTs then your quant book. No need to consult NCERT. Because he has neatly summarized all theorms, formula and special questions given in NCERTs. 227-28 Cuboid volume related sums. 1995: UPSC asked question similar to example 11. 231-238 all illustration and sums important for CSAT. They keep asking such combo images and shaded areas. This chapter deals with volume of ‘combo’ figures. Semi-sphere above a cube & so on. Solve all the illustration and exercises given here. — next article, we see how to approach the medium and low priority topics under mathematics for CSAT. Visit Mrunal.org/aptitude for more articles on aptitude, maths, reasoning. Sir, What is the Difference between Critical and logical Reasoning? Notify me about all upcoming exams and their syllabus time to time. This is Santosh from Hubli(Karnataka), I am an UPSC aspirant & has targeted for 2016. I found the details given by you in the website regarding NCERT Books which will help to understand the basic concept. 2. Do I need to go for old NCERT books? Could you please me in this. Sir please help me out of math phobia. Sir I have flunked my maths in 10th and passed in supplymentry with border marks 33. It started from that time onwards. I flunked. Again I don’t know how I cleared 4 math subjects in my engineering passed. With writing at least 3 times each math subject as backlog. So again now I am facing the problem in csat.. I could only solve some questions. Please suggest me how to prepare csat and some special topics and books. Sir you told the numbers of chapter of Rajesh Verma books for to study in pdf what to study and what to skip? have changed in revised edition so now how can I know the real chapter I have to study which you told?